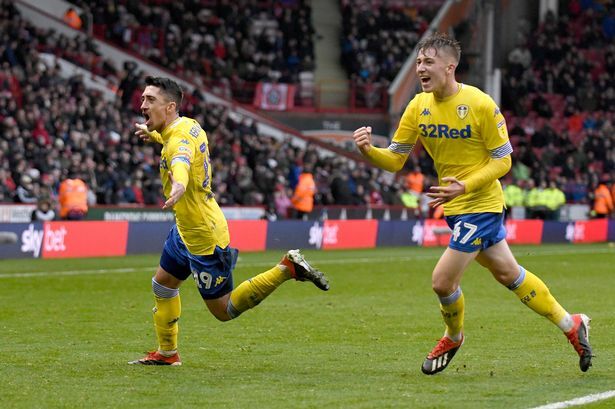 Liverpool are targeting a summer move for Leeds wonder kid Jack Clarke. Winger Clarke only made his United debut against Brentford in October but has become a first-team regular at Elland Road since. The York-born ace has netted twice in 16 Championship appearances to earn the attention of Premier League clubs. Tottenham, Arsenal, Manchester City and Manchester United have previously been linked with Clarke, with Jurgen Klopp the latest to add his name to the admirers. Klopp has sent scouts to keep an eye on Clarke and been impressed by the reports he has been sent back – which could trigger him into making a bid when the transfer window reopens in July. Clarke sparked worries for his health during Saturday’s clash with Middlesbrough, after he was rushed to hospital after collapsing on the bench. Paramedics quickly swooped in to treat Clarke, who had started the match and been replaced by Pablo Hernandez, in the 82nd minute. He spent the evening in hospital before he was released and travelled back to Leeds. Clarke’s agent Ian Harte revealed on Twitter : “Jack has left the hospital now happy and smiling. Hopefully back on the pitch very soon.